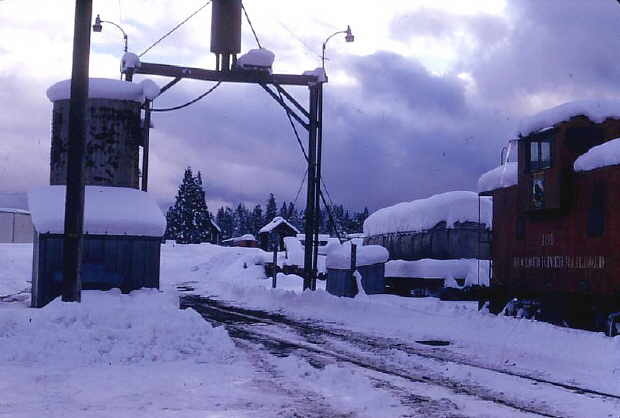 George Landrock hired out as an engineer on the McCloud River Railroad in 1974. 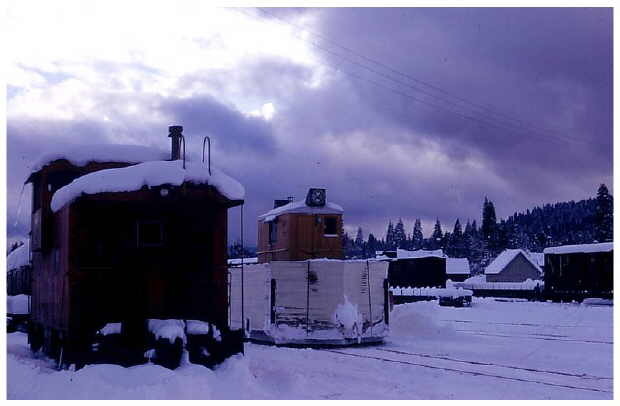 He worked for the railroad from then until July of 1977, when he took a leave of absence to go to work for the Oregon, California & Eastern Railroad out of Klamath Falls, OR. George continued to work for the McCloud on an occassional, as-needed basis until about 1978 or 1979. 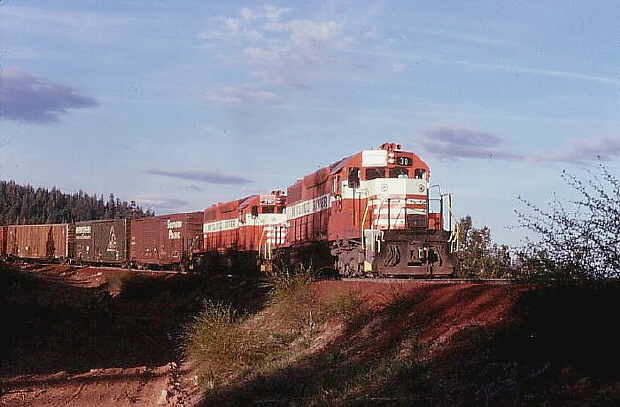 After a stint on the OC&E he went to work for Burlington Northern. He is currently a locomotive engineer with Amtrak in western Washington. 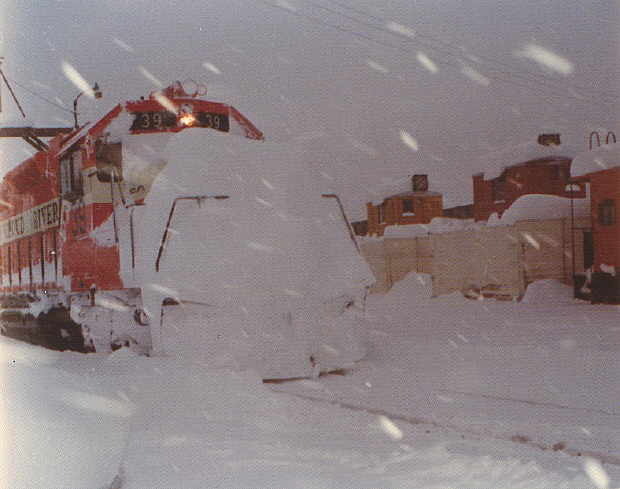 These are photos he took of the railroad through the years. 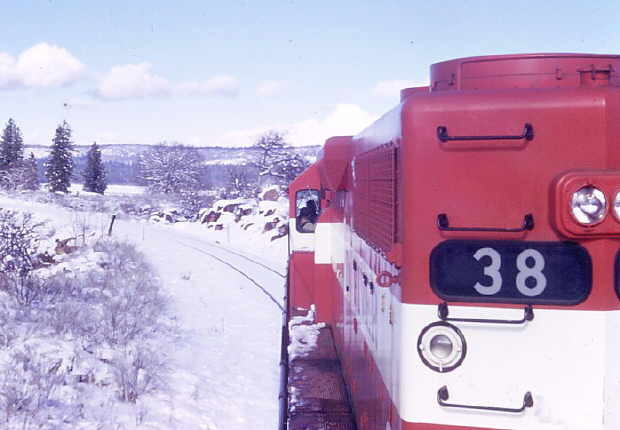 #38 leading a train into Cayton Valley, taken from a trailing unit. Photo by and courtesy of George Landrock. Photo by and courtesy of George Landrock. 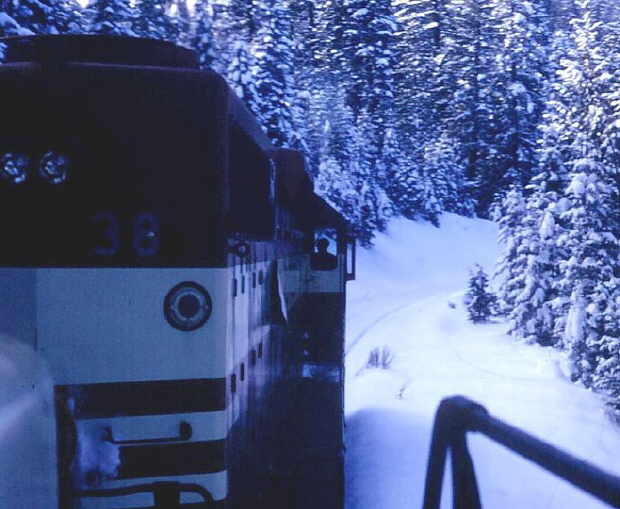 This is a photo of two units near Signal Butte switchback powering a Yard & Hill job between McCloud and Mount Shasta. Photo by and courtesy of George Landrock.